They settled one of the biggest hangups - how to reimburse the state's 200-plus hospitals for Medicaid. 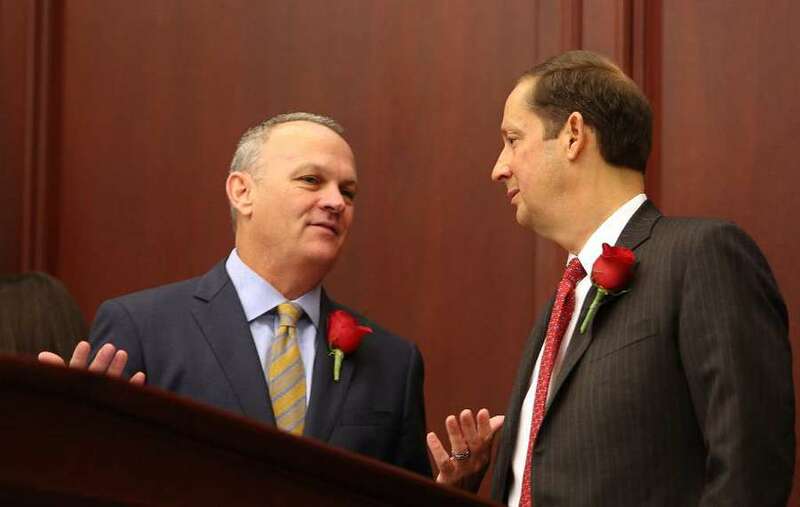 Florida legislators on Wednesday put the finishing touches on a new $87 billion budget that has been overshadowed by the state's response to the Parkland school shooting. Budget talks stalled in recent days as lawmakers focused on $400 million more for school resource officers, the training of armed school staff, mental health assistance, increased school security and replacement of a building at Marjory Stoneman Douglas High School, where the massacre took place. Leaders of the House and Senate settled one of the biggest hangups – how to reimburse the state's 200-plus hospitals for Medicaid. The Senate wanted to change the formula, which would hurt some public hospitals. They agreed to go with the House plan, which will keep the current hospital funding. In exchange, House leaders agreed to $40 million more in Medicaid funding for nursing homes, as the Senate wanted. Proposed budget done. 400m for school safety. Record funding for universities and K-12. Expansion of Bright Futures. 100m for Florida Forever. Huge new financial commitment to our most vulnerable in nursing homes. Pay raises for prosecutors, PDs, law enforcement. 3B in reserves. Legislators barely missed their Tuesday deadline for settling a budget, promising that the session will be extended into Saturday. $400 million to schools in response to the Parkland massacre. $175 million for Everglades restoration. $76 million on Visit Florida, the state’s tourism arm. $53 million ($27 million of which comes from a federal grant) to help combat the opioid crisis, which is killing more than 16 people a day. $21.6 million to treat inmates infected with the Hepatitis C virus and another $5 million to address mental health issues among inmates. It's the second straight year that the Legislature needed extra time to pass a budget, its only constitutional responsibility every session. The budget that will take effect on July 1 does not include an across-the-board pay raise for all state workers, but it does include targeted raises for select groups of state law enforcement officers. Times/Herald staff writer Elizabeth Koh and the News Service of Florida contributed to this report.